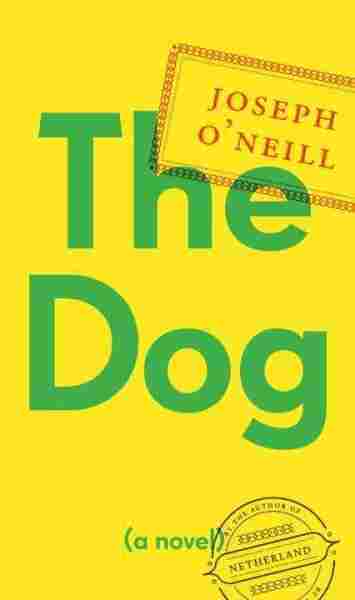 'The Dog': Dubious Dealings In Dubai There are no winners in Joseph O'Neill's new novel The Dog, just a long downward spiral into stalemate as the nameless narrator flees a bad breakup and gets mired in shady financial dealings in Dubai. One measure of a fine writer is the ability to master new tricks. Joseph O'Neill's new novel, The Dog, is a different animal (so to speak) from Netherland, his remarkable PEN/Faulkner Award-winner about a Dutch financial analyst adrift in New York in the aftermath of 9/11. Though both involve romantic estrangement in a globalized but alienating world, The Dog focuses more narrowly — and sometimes claustrophobically — on one man's hopeless, deluded efforts to live blamelessly in a distressingly mean-spirited, soulless society. Filled with wry, clever observations, it's also a discomfiting read, as O'Neill's narrator collars you with his woes like a talkative seatmate on a plane. Each time I put the novel down, I found myself reluctant to pick it up and follow this no-win situation to its inevitable end. The Dog takes us deep inside the head of a man who always feels he's in the doghouse and, try as he might, can't escape the feeling he belongs there. The name of O'Neill's narrator remains unknown to us, other than his detested but apt first initial, "X." He begins his story in the devastating aftermath of a breakup from his long-term, chillingly goal-directed girlfriend, whose name we do learn: Jenn. She's a colleague at his New York law firm, where she works in securities and makes partner, while X. does not. His area of expertise — fittingly — is insolvency and restructuring. Eager to flee after Jenn appropriates his life savings and drags his name through the mud, X. accepts a well-paid but precarious position for the enormously rich family of an old college friend in the "abracadabrapolis" of Dubai. His job is to sign off on transactions for the Batros Family Funds. He's no dummy, and knows his job on "planet Batrosia" is dubious and risky. He tries to limit his liability by devising numerous disclaimers — all while venting his considerable frustration by composing streams of "mental mail" email protestations to his bosses that will never see the light of day. Face-to-face with his capricious employers, X. swallows his objections: "I am very, very silent. I am William the Silent and Harpo Marx and Justice Thomas," O'Neill writes, saving his zinger for last. We learn a lot about the "strange desert metropolis" of Dubai, where life involves one "glitch after another," X. drives a fancy car called an Autobiography, lives in a luxury apartment tower on Privilege Bay called The Situation, and frequents a spa called Unique, despite the fact that — as he wryly points out — "There's more than one Unique." We also eventually learn the grim details of the breakup, which followed a suffocating relationship that X. wittily dubs "The Perhapsburg Empire." But X. is the sort of self-deluding overthinker who ponders in clauses, reservations and qualms, with as many as six sets of parentheses piling up at the ends of paragraphs, which run on for pages. There are no chapter breaks in this brilliant but strenuous lament; X. is a dog who can't stop gnawing at the bone he's trying to bury. Set up as the fall guy for the Batroses' illegal dealings, X. sinks into a legal quagmire anyone could see coming. His reasoning goes haywire, and he begins to resemble Arthur Phillips' delusional archaeologist in The Egyptologist, minus the hilarity. Images of entrapment and claustrophobia run through the novel — from Kierkegaard's epigraph about identifying with a chess player whose pieces can't be moved to X. 's sense of being "interred from within" and living "a posthumous life" with Jenn. It all adds up to a devastating portrait of a man and world stuck in a moral impasse. There are no real winners in this game; at best, it's a stalemate.